Fallout 3 is one of my favourite games. Searching every little nook and cranny in the hopes of finding an easter egg or a special weapon or just something amusing and a little random was all part of the fun of it. I would waste hours exploring to stumble across something I’d never seen before, to then be taken on some Alice in Wonderland adventure as I would explore how deep the random ‘rabbit hole’ would go. To get the chance to experience all of this again in Fallout 4 was a thought too tantalising to be true. But true it is! I’ve barely even scratched the surface of the game with around 20 hours played to date, but I’ve already seen enough to be convinced that it will be one of my favourite games of all time. Hell, even if it stopped right now, I still wouldn’t be too disappointed with what I’ve seen. Fallout 4 starts before the war has kicked off; everything is hunky dory in your picturesque world. Inevitably nuclear war breaks out and humanity is threatened to within an inch of its life. Alas, all is not lost, Vault Tech have built a number of underground vaults to protect a select few from such events. The Vault will keep us safe right? As the bombs start to drop you and your family run off to Vault 111 to live a life underground until the all clear message is given. Life spent underground won’t be bad will it? Surely everything will be fine… WRONG! Everything is not fine; in fact it’s pretty much the opposite of fine. You spend 200 years, yes – 200 years in Cryo sleep only to be woken to… well some pretty bad stuff going on, I won’t spoil what though. You need to get out of the vault and start to make things right! You emerge from Vault 111 – new Pip-boy attached to your arm, and the sun is beaming across the Boston wasteland. What now? Emerging from any of the Vaults in the Fallout games has always been a pretty big moment for me. You’re suddenly faced with a huge landscape where you can basically go where you want and live out your future how you want. 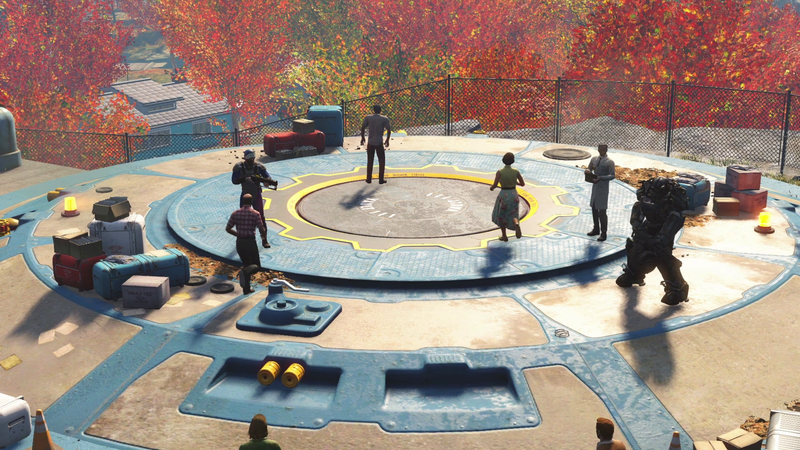 With Fallout 4 the possibilities for wandering the wasteland are even bigger than before. Sure you could get straight to the main quests and set things straight, but where is the fun in that? I spent my first hour or so doing a few quests, and getting to grips with the game. You know the usual stuff, but after I’d started my first settlement off, I just went on a tangent. 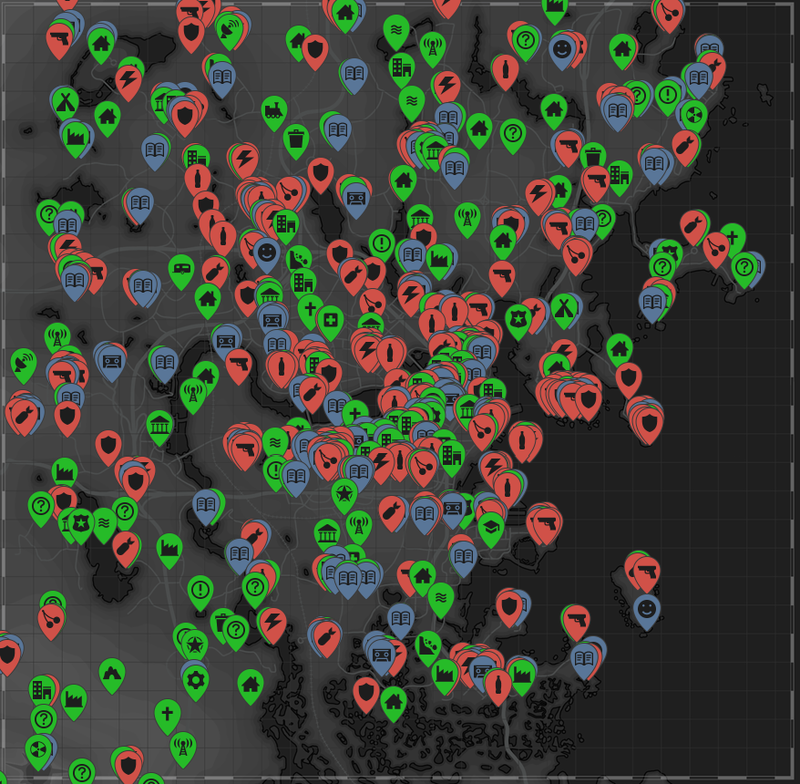 I’ve heard a lot of people have had complaints about the size of the map. For some reason they think it’s a bit small… But what I haven’t heard people say is why they think it’s small. What is it that makes them think that? Why does it even matter that it’s smaller than some games? If there is a lot to do in the world, then what’s the problem? Sure, it might not be as big as a game like The Witcher 3, but there is so, so much to see and do that I can’t understand why there are complaints about it. 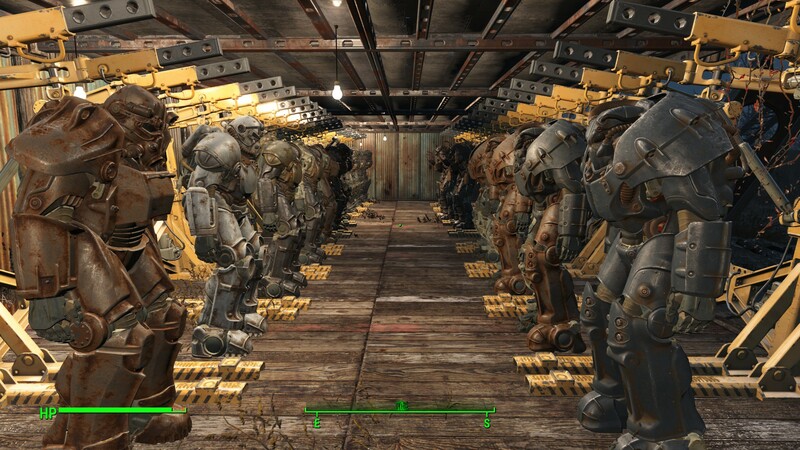 Fallout 4 has also added a more in depth crafting system for weapons and armour. It’s a little daunting at first because you need a lot of materials. But some of the creations you can make are awesome and really give your game a unique feel to it. This does however mean that all the junk that you used to accidentally pick up in the old games, now has a purpose and therefore you end up carrying around all that junk which inevitably means you become encumbered a lot more often. It’s a little annoying as it means sometimes you have to drop things when you don’t really want to. The biggest problem I’ve had with that so far was when I was deep in to a mission – which was pretty deep in to a building and I found myself a Fatman – obviously I wanted it, but the Fatman isn’t light. I ended up dropping quite a few guns and junk just to make enough room for it. It’s not a huge problem, if you manage your inventory regularly enough then you should be fine, you just have to remember to actually manage it in the first place. Some people will point to the number of bugs being the biggest problem and whilst I have encountered a few, none of them have been particularly damaging for my experience so it doesn’t bother me too much. Bethesda have always released games with a lot of bugs in them and maybe its just because they usually release such huge games that it’s hard to pick up every little issue. As long as a bug doesn’t impact my game then I’m OK with a few existing here and there. Game breaking bugs are not OK, but one little one where a character floats off in to space after they’e blown up – I’m OK with! 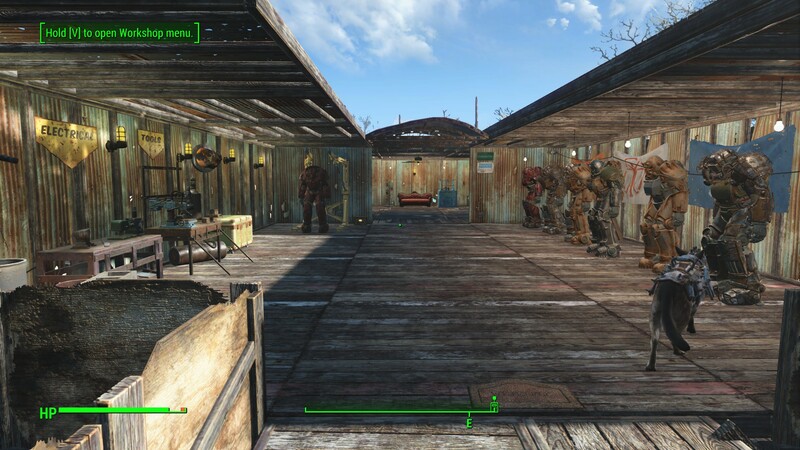 One other pretty big difference from the previous games is how Power Armour has changed. Now, instead of it just being like normal armour they’re actually separate suits that you have to repair and can be upgraded in a multitude of ways. I only actually have one suit at the moment, but I know some people with whole garages full of them and it looks completely badass – I can’t wait to get more so I can do something similar. Because I only have one and very few Fusion Cores (used to power the armour) I haven’t actually been using it all that much, but I’m imaging that the longer I play the more suits and cores I will find so there will be ample opportunity to wreck everything whilst stomping around in my armour. One day mine will look like this. For me Fallout has never been about the story it’s always been about hunting down the secrets hidden in the world. Bethesda – in my eyes, are pretty much the king of easter eggs and so far Fallout 4 has been hiding a nice amount of treats for me to find, I can’t wait to discover more. With Fallout 4’s massive scope and plethora of content I can easily see myself playing this game for 100 hours if not more. In that time I wouldn’t be surprised if I still haven’t finished off the story missions simply because I get so easily distracted by the little things. I know that I’ve only put in around 20 hours so far, but I think it’s pretty safe to say that Fallout 4 will be my game of the year.